Transport for Greater Manchester (TfGM) is sounding out bus operators about the possibility of introducing a franchising scheme. 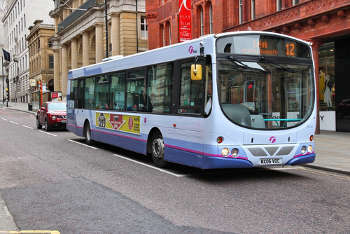 The regional transport body said it is carrying out a ‘wide-ranging market engagement’ as part of its ongoing work to prepare an assessment of a proposed franchising scheme for Greater Manchester, in line with the Bus Services Act 2017. It has invited 35 local, national and international bus operators give their views through a detailed questionnaire. Michael Renshaw, executive director at TfGM, said: ‘Our work to prepare the assessment of a franchising scheme is underpinned by Greater Manchester’s ambitions for bus to play a fuller role as part of an integrated transport system. ‘This market engagement is an important stage in the ongoing dialogue we’ve kept with bus operators throughout the process. TfGM said its questionnaire covers such areas as the proposed design and structure of franchises, commercial parameters, and the procurement process and that it hopes that this will help further refine its assessment by obtaining operator feedback on a potential commercial model for franchising. consider how small operators would have access to the market. TfGM said it is undertaking the assessment on behalf of its parent body, Greater Manchester Combined Authority (GMCA), but that no final decision has yet been taken on how to reform the local bus market. It added that that while preparing the assessment, it has been in ongoing dialogue with bus operators to explore other ‘realistic options’ for improving local bus services, such as partnership proposals.